Our mission is to exceed the expectations of each customer and provide an exceptional experience unmatched in the industry. We are not just another limo rental company, our goal is to provide an exceptional service and an unforgettable experience in all our vehicles. We treat customers VIP and we make sure they have safe, comfortable, luxurious rides at the best value possible. Large limos selection. We offer an enormous variety of limousine in Montreal for all group sizes, specialty vehicles, SUVs, buses, antique and exotic cars. Our vehicles are new, clean and equipped with the latest technologies. No matter where your destination, we get you there in style, luxury, comfort and VIP treatment. Professionalism at its most. We have the most professional, elegant and trained drivers with extensive knowledge of the city to make sure you will reach any destination safely, promptly and efficiently. They can even guide you to the different spots in the city if you need help planning the evening. Competitive and unmatched rates. Our rates are the best without compromising quality, service and your needs. Our customer rave about us and we we pride ourselves for being the top in all what we offer. VIP Treatment all the way. Our clients are treated with special and we realize every person is different. 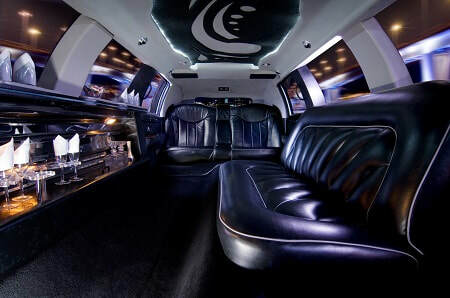 We provide each and every client the attention and details that he will need when riding our limos. Best reviews online. We have amazing reviews online, check us out and you will know why people are satisfied with us. Select from amongst the finest and special packages we have or our hourly services. Our transportation is the most reliable and trusted service around. We know how confusing it could be sometimes to plan a booking and rest assured that we will book you in the fastest and most convenient way, even if you are booking last minute no matter how small or big your group is. Our limousine services caters to Montreal, Quebec and surrounding areas. Whether you would like to rent a limo for a special events, weddings, airport, night out in town, tours and at any number of guests.